I don’t know about you, but that’s what I DREAM ABOUT when I settle down for a long winter’s nap! 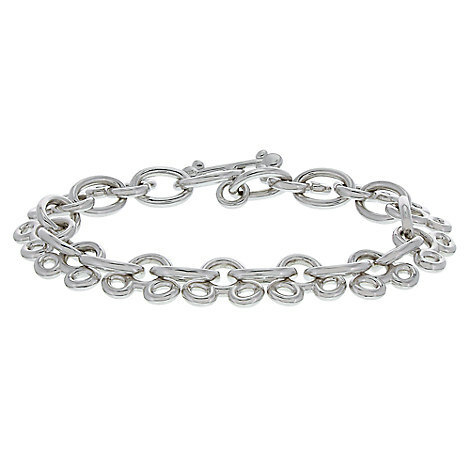 (Spring, Summer, and Fall, too, to be honest…) And this Mickey Mouse Sterling Silver Bracelet kinda makes my dreams come to life! Look at those cute little Mickey heads floating around that beautiful piece of jewelry! Subtle and gorgeous, I like it. I’m not a fan of things around my wrist, but Disney is making it awful hard to stay that way.